As churches expand, the task of linking faces with names when managing a church’s database becomes more difficult. 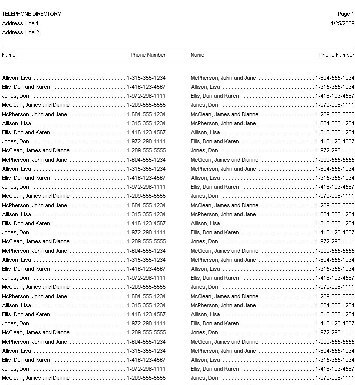 This is why almost every church has a photo directory nowadays. 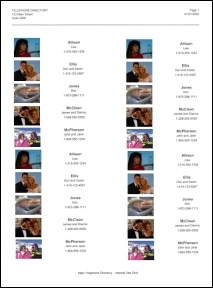 Such a program allows an image to be added to a person or family profile. The profile contains basic information on a person or group, usually the name, address and phone number at least. You can create separate directories for individuals, families and groups or a large one for the entire ministry. The great thing is that, once created, the directories can be printed and carried along wherever need, so that you are not bound to the computer. The main reason for using church directory software is maintaining and managing information about parishioners. It’s very convenient to have all personal information linked to images, this way not only the search for a person becomes easier (since you no longer have to search by name, photos being much more suggestive), but new members can get to know the others faster. This can be a particularly useful instrument in a growing church, where new members are continuously joining the community. Also, when you have people visiting your church, they can get acquainted with the church staff and parishioners in an intuitive manner. However, keeping track of membership on the personal computer is not the only goal for which church directory software applications were designed. The directories can also be put on the church’s website so that visitors could have some information about the community and its members. It is well knows that an image says more than a hundred words, so a professional-looking directory will attract more visitors to your website than a simple, plain-text page. 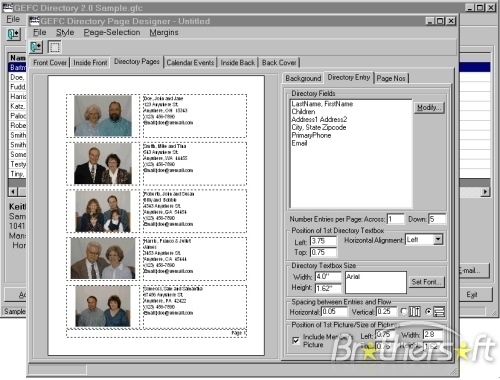 With church directory software you can not only create photo directories to keep track of basic information on ministry members, but also yearbooks or other catalogues for special events that take place in your community. You can also create directory hierarchies that will help you organize all the information you have in your ministry in an elegant and efficient manner. A hierarchical organization allows a rigorous division of data on different categories, based on each church’s personal criteria (such as date, time, location, groups, etc) and various levels of importance. There are not many church directory software solutions for now, but the ones that do exist discharge their responsibilities in an excellent way. This type of software is not very expensive, but if your church is on a low budget and you only want the basic functionalities, you can opt for one of the free solutions. To help you make the right choice, we’ve made a detailed description of some of the most used church directory programs below. ABC Fast Directory is one of the photo directory software products available on the market today. The program lets you create professional-looking directories for linking photos with the information you want to maintain about individuals, families church groups. The graphical directories as well as the text directories are very well-designed - they really resemble the ones in your phonebooks. The software is designed to be very easy-to-use, you don’t have to posses great technical skills in order to create professional-looking directories in no time. The software delivers already-made layouts which the users will customize (choose the desired number of columns, font style, number of pictures per page, etc) in order to give the directory a personalized look and feel. This automatization saves users a lot of time and also gives the possibility to pick the favorites templates without having to re-create them. This software allows you to import and export information from other applications like Microsoft Word and Excel and, even more important, to export the directories you’ve made to image files and then print or upload them to the internet or phone. The newest version of ABC Fast Directory also supports directory hierarchies for churches. The software is available for free download from http://www.abcfastdirectory.com/index.php. Another pictorial directory software designed for churches and other member-driven organizations is GEFC Directory. The program can be categorized as Address Book Software or Personal Information Manager since it allows users to create membership directories with fields for member’s personal data: names, address, city, zipcode, phone(s), children (if the case), email address, special notes and even special calendar event fields for birthdays or anniversaries. Users can not only print the directories, but also create their own, personalized print formats. The software is compatible with all the commonly-used picture formats like jpg, bmp and gif.